In February we start to seriously think about the coming of warmer weather and Spring. Of course that means April showers and usually wind. We give our cloud and raindrops a 3-D effect by folding and allowing part of the cloud and raindrops to be free. The directions for this project, “April Showers,” can be found in the 1st Grade Projects Gallery in the sidebar. 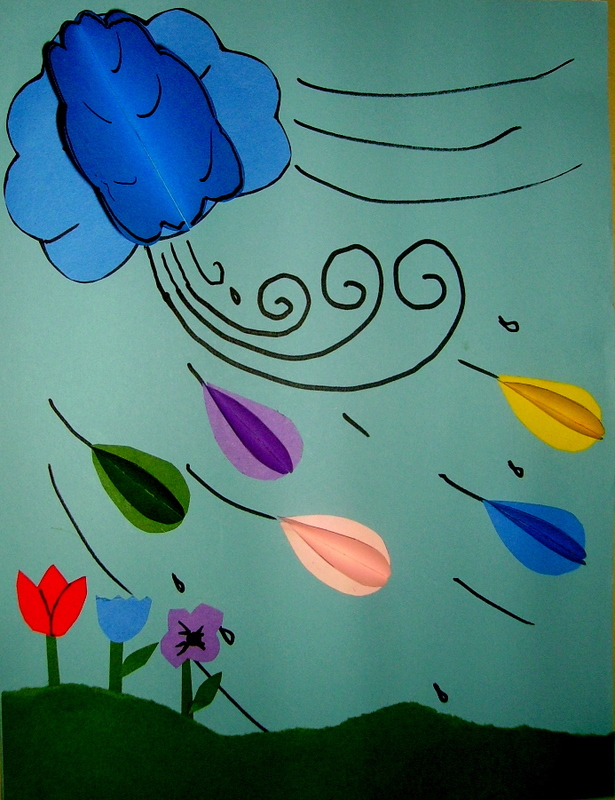 This entry was posted in 1st Grade, Categories and tagged 1st grade, 3-d effect, april showers, april showers art, art and crafts for kids, cloud and raindrops, easy art projects for kids, rainy day art project, spring flowers art project, umbrella art project, wind. Bookmark the permalink.